The Western Cape Alumni Chapter is excited to host this breakfast discussion with Dr Marlene le Roux, CEO of the Artscape Theatre Centre in Cape Town where she will discuss ‘Gender and Disability: An Emphasis on Action Driven Emancipatory Model’. Dr Le Roux has been involved in development work on all levels in society and have served on various platforms on executive level. Within all these portfolios the inclusion, accessibility and mainstreaming for persons with disabilities has been a drive towards societal change. In this talk she will reflect on her book, “Look at Me”, which will highlight the sensuality and dignity of women with disability and the impact it has made. She will also speak on a model she has designed within her MPhil degree and the importance of Community Development Workers (CDW’s). The talk will look at our African perspective as well and how important the role of women is within these ideals and for the equitable and dignified manner care givers and beneficiaries need to receive access and equal opportunities. 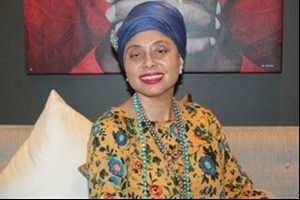 Dr Marlene le Roux is an activist for communities who have been denied access but with an enthusiasm for Marlene has conceptualized and edited a book on women with disabilities called Look at Me. She also compiled a book on the icons of Mitchell’s Plain entitled, “Place in the Sun”. She is also co-author of a mother tongue publication for Afrikaans called, “Ons kom van vèr”. Marlene also published a book, “Die Wellingtonse Klopse – 100 jaar se onvertelde stories” with Professor Michael le Cordeur in 2013. Marlene serves on various boards to ensure ethical leadership and accountable governance. On 30 March 2017 she was bestowed an honorary Doctorate in Education from CPUT. Dr Le Roux was elected from 20 countries to serve as an international expert on the London Olympics Committee in 2012. She also was on the council of England to select collaborative Arts Projects to be showcased as part of the London Olympics and Paralympics. This year she also received the German Peace Award. The French government again bestowed a ” Chevalier dans l’Ordre national du Merite” for her role in the Arts, Culture and youth development. Dr Le Roux has just been awarded as the 5th Point of light recipient of the Queen of England from South Africa for her work in the disability sector.